Read and extract SQLite database file with different extracting options. SQLite Extractor Pro save the corrupted SQLite file in the required database. The software application imparts the users with the ease to extract all the columns, tables, triggers, views, indexes etc from the SQLite file. Before extracting data out of SQLite file, You can preview all the items. During extraction from SQLite file, there are several checkboxes available to select the required data to extract. There is no need to go with the whole SQLite data, if you need the less. If you choose the DSN to extract the corrupted SQLite file then the tool prompts for the mapping of SQLite data type with other database type. Step 1: Start SQLite Extractor Pro. Step 2: Browse for the database file for extraction. Step 3: Then, Scanning process get started. Step 4: You will receive notification after the completion of scanning process. Step 5: Now, You can preview the SQLite file before extraction. Step 6: Providing various database options to extract data. Step 7: Select the destination path to save the extracted data. Step 8: Notification prompts after the completion of extraction process. Step 9: You can select Other Database option to extract the SQLite database as other database. Step 10: Now, You will get the list of Database Source Name. Step 11: Then, Click OK. Step 12: Now, the extraction process get completed. Step 13: Click on Yes. Is there requirement of any supported application to run the software? No, there is not any requirement of extra supporting application to extract the data out of SQLite file. Is it possible to extract data from corrupt SQLite database file? You can extract the data out of corrupted SQLite database file. How many databases can be added to the software to extract data? Only one database can be added to the software at once for extraction. 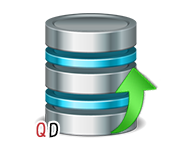 The effective working process and its technicality, makes SQLite Extractor Pro Software worth buying. It has an excellent compatibility with multiple DSN such as MS Access, SQL Database, makes it unique among other software. We faced several bad experiences with many third-party applications; Then, I tried SQLite Extractor Pro, when there was an urgent need to extract SQLite database file, created by our previous employee. Thanks to QuickData team for creating such a great utility.